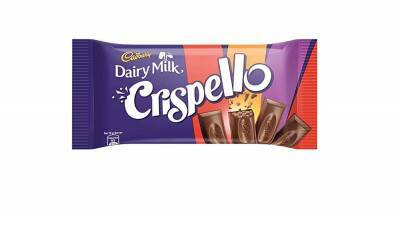 After making Cadbury Dairy Milk as one of India’s favorite chocolate brand for 70 years in India, Mondelez India today announced the launch of Cadbury Dairy Milk Crispello, its ‘made in India’ innovation in the Crispy-Eat segment. Banking on Cadbury Dairy Milk’s strong equity, Mondelez India is all set to expand its premium portfolio with this new product offering. Cadbury Dairy Milk Crispello, is covered with a layer of delicious Cadbury Dairy Milk, crunchy wheat crispies and smooth chocolate cream. As one bites in, the chocolate melts in the mouth and the wheat crispies underneath bring in the crispiness, giving consumers an immersive chocolaty and crunchy experience, all at the same time. The finger-bar format makes it easier to be shared with friends and family. The launch will be supported by a 360-degree communication campaign that will include a new TVC and outdoor & digital campaigns targeting the brands core target audience i.e. youth. On-ground activations at point of sale and sampling at modern trade outlets will also be part of the campaign to drive awareness for the product. Cadbury Dairy Milk Crispello is priced at INR 30 and is all set to provide an indulgent and a satisfying experience to all chocolate lovers out there. The finger format lets you crunch with your bunch, celebrating the spirit of sharing!